Sonia Gandhi, who handed over the Congress to her son Rahul Gandhi after the Gujarat assembly elections last year, had called the meeting of 17 opposition parties in her capacity as the UPA chairperson. Sonia Gandhi met the leaders of 17 opposition parties in Delhi today. 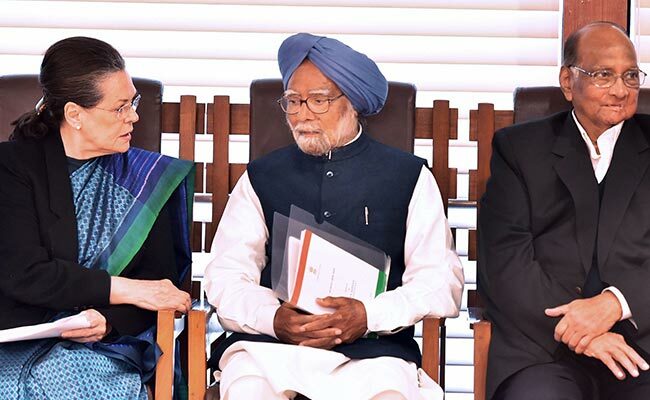 New Delhi: The leaders of 17 opposition parties - including the CPM, which voted to rule out siding with the Congress - met Sonia Gandhi in Delhi this afternoon to talk strategy for the budget session of parliament. Mrs Gandhi, who handed over the Congress to her son Rahul Gandhi after the Gujarat assembly elections last year, had called the meeting in her capacity as the UPA chairperson. The only party that skipped the meeting was Mayawati's BSP. Underscoring the need for unity among the opposition, Congress chief Rahul Gandhi said, "We understand you have issues in states and we may have differences from state to state and we can work this out. But at the Centre, we must work together to fight the BJP-led NDA". After the meeting concluded, senior Congress leader Ghulam Nabi Azad said, "Sonia-ji said we have to work together on various issues of national importance". On the list, he said, were unemployment, economic situation, undermining of Constitutional institutions and violence against caste and communities. "Price rise of essential commodities, in particular petrol and diesel, is a matter of concern... We must adopt a coordinated strategy both inside and outside parliament," he said. A united front has eluded the opposition following deep fissures along state lines. Recently, the powerful and large Kerala contingent in the CPM had voted out Sitaram Yechury's proposal to ally to join forces with the Congress against the BJP in 2019 general elections. The CPM and the Congress are bitter rivals in Kerala, which swings between the two parties every five years. There have been other efforts to bring the opposition together on crucial issues. Three days ago, NCP chief Sharad Pawar had hosted some opposition leaders for tea at his residence. But few parties had attended and it was decided to hold a larger meeting after the the Budget presentation. Today, Trinamool Congress chief Mamata Banerjee too, said she would reach out to all non-BJP parties. Who will head the united opposition, could, however, be a thorny issue. While the Trinamool leader shares warm rapport with Sonia Gandhi, her relationship with Rahul Gandhi has been frosty. Today, after the victory of the Congress and the Trinamool Congress in Rajasthan and Bengal by-elections, Sonia Gandhi and Mamata Banerjee had congratulated each other. While Ms Banerjee skipped today's meeting, but sent her representative, senior party leader leader Derek O'Brien.